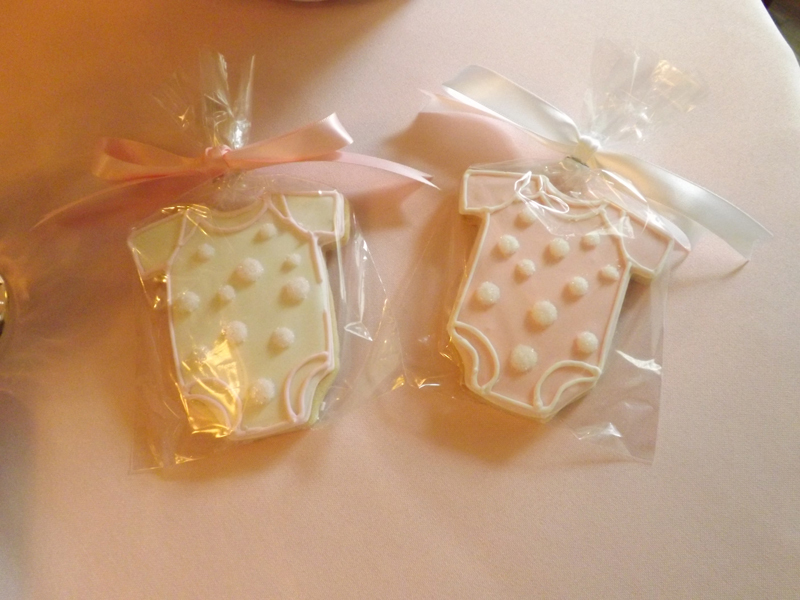 Polka dots are always a favorite of mine whether it be a theme for a girl or boy. 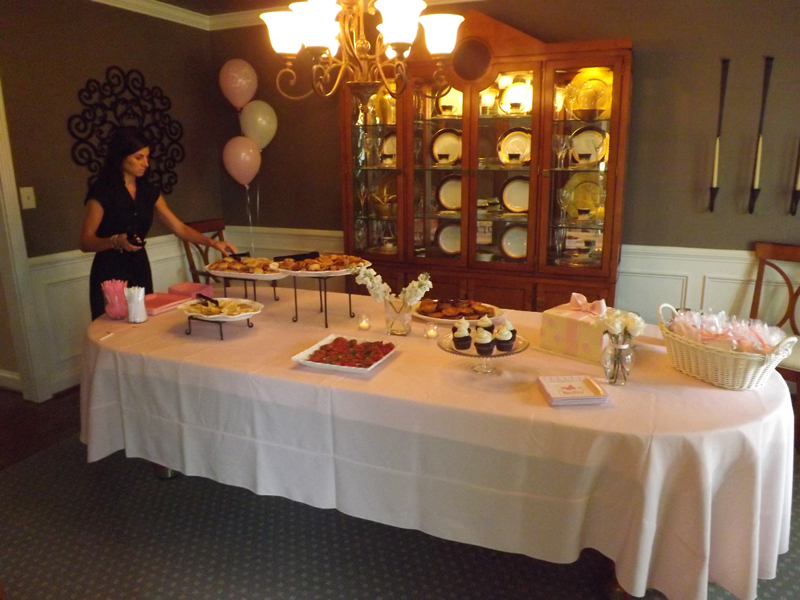 My client was hosting a baby shower for her sister and wanted everything to be pink. 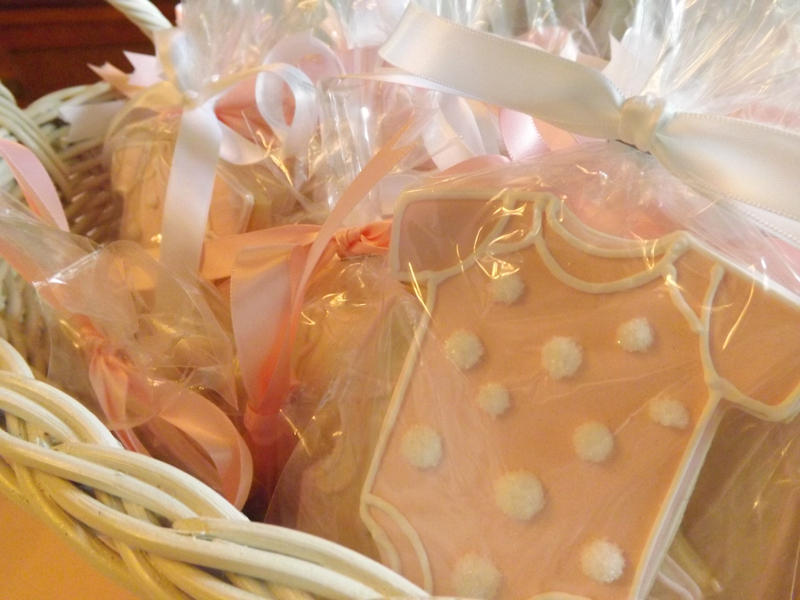 She also wanted me to include something else in the theme; so we agreed on pink polka dots! Drinks were displayed in dispensers with chalkboard signs reading what the drink was. I even used pink chalk to write out “tea” and “water”. 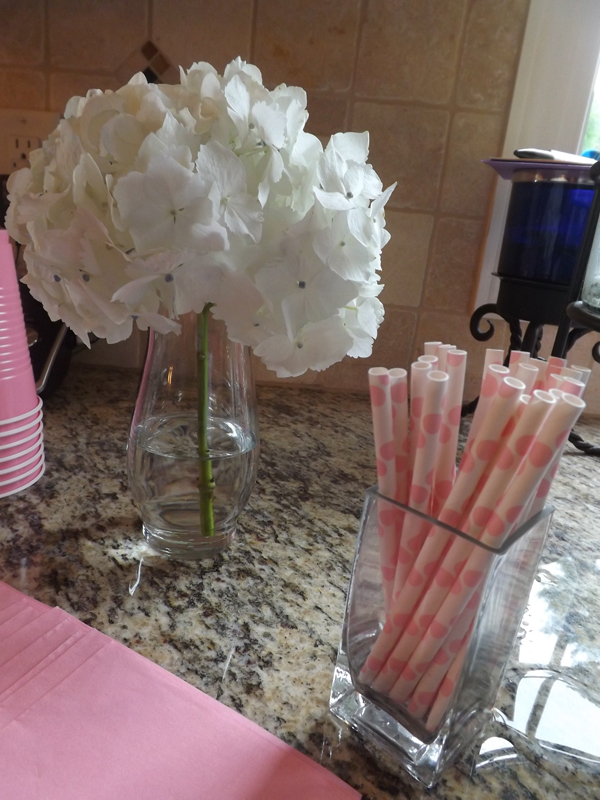 I ordered pink and white polka dotted paper straws for the drinks. 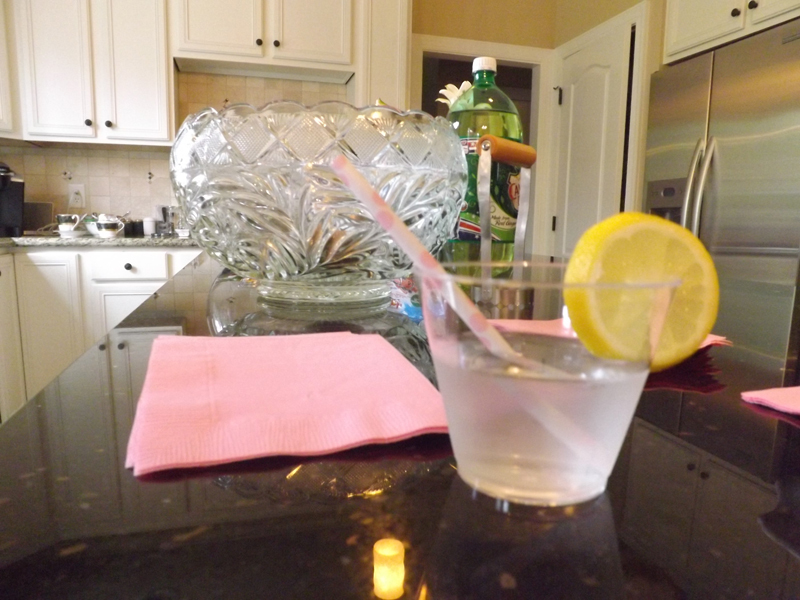 I ended up cutting the straws in half so that they would fit proportionaly in the cups. 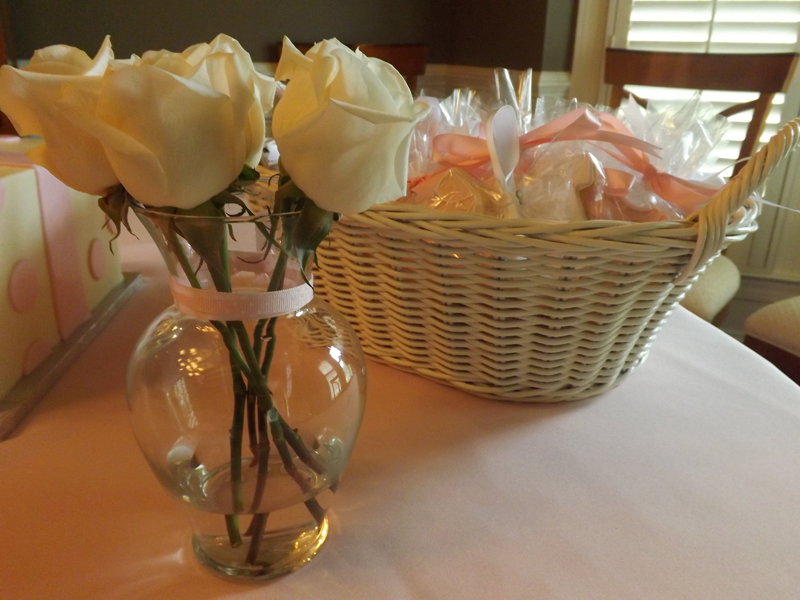 I bought white roses and hydrangea flowers and created centerpieces for the tables and counters. 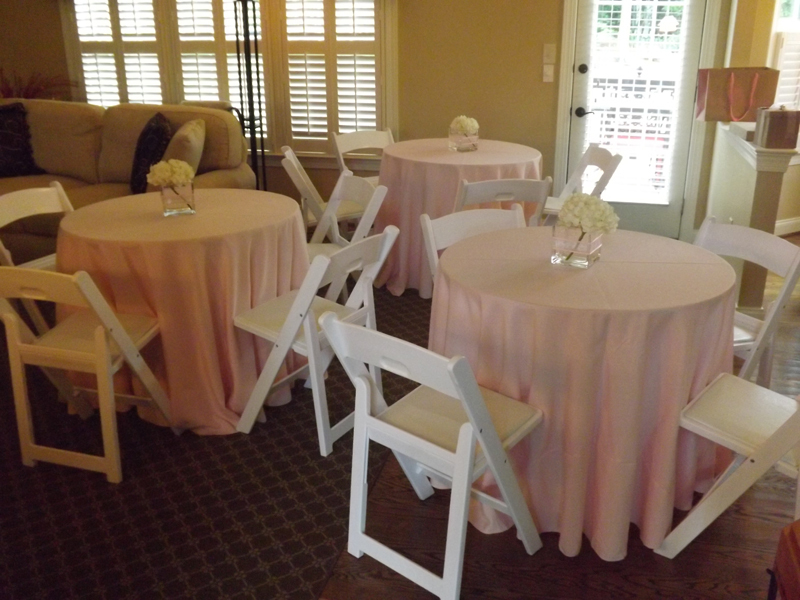 I tied pink ribbon around the vases to match the linens. 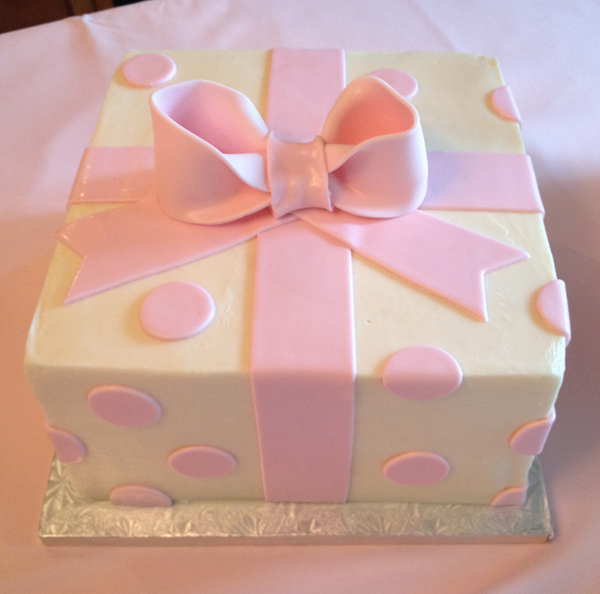 It gave it an extra girly look! 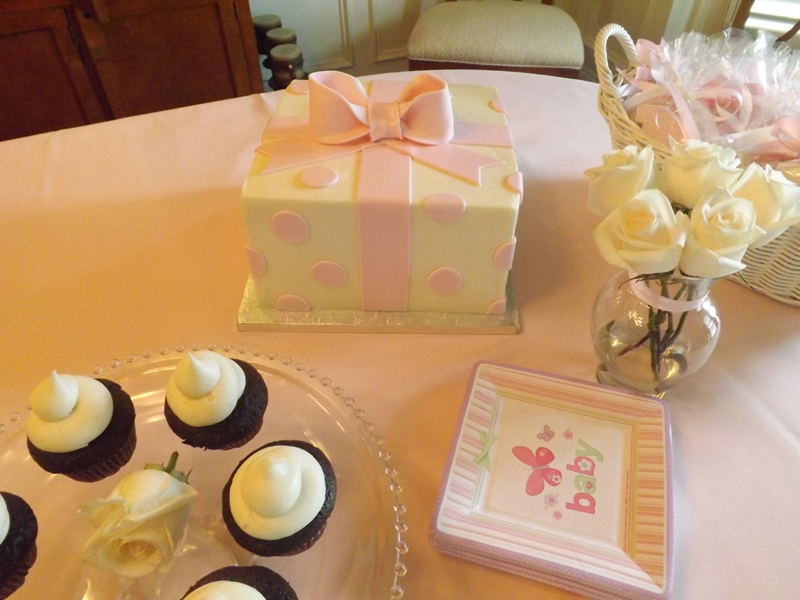 All of the paper products were pink too! 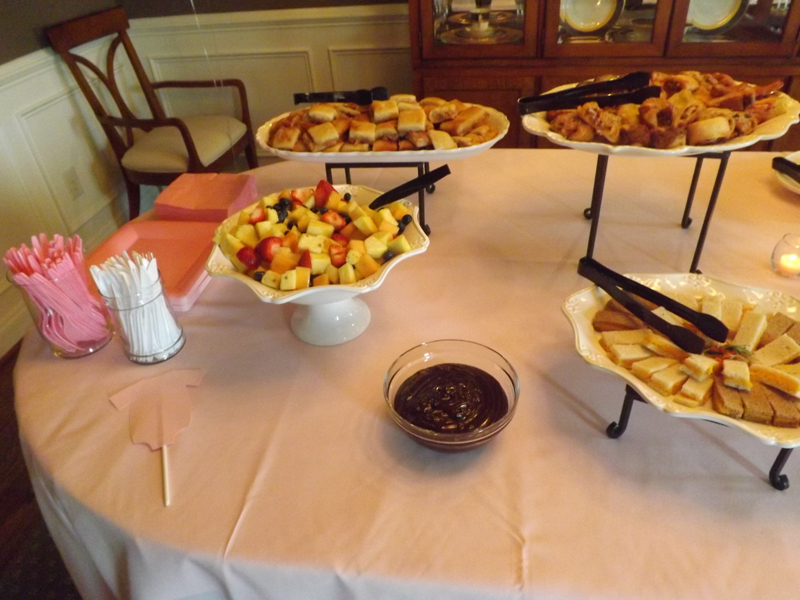 Food catered by Ladyfingers: Brunch was served and included mini BLTs, pimento cheese sandwiches, country ham rolls, quiche, an assortment of pastries, fresh fruit salad and chocolate mousse. So pleased with the way my business cards turned out! 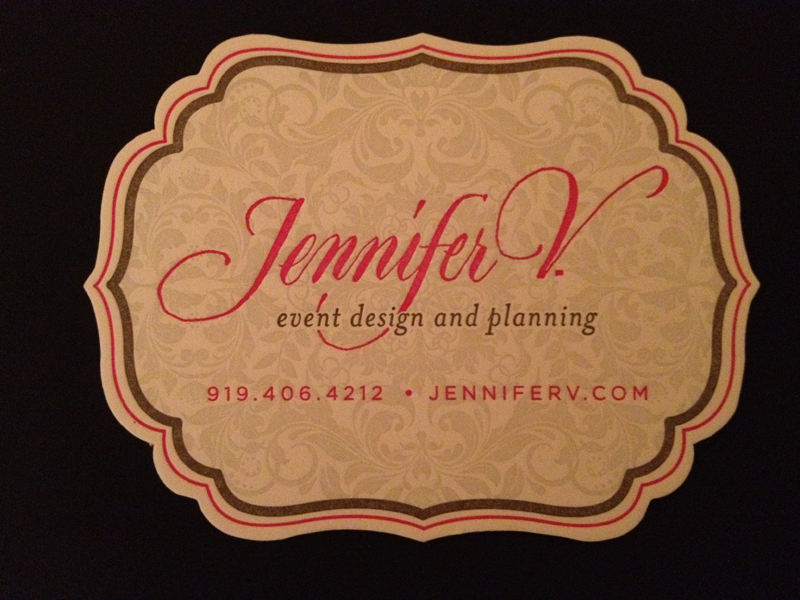 I loved working with Paper Cafe in Raleigh, North Carolina to create my logo and business card. 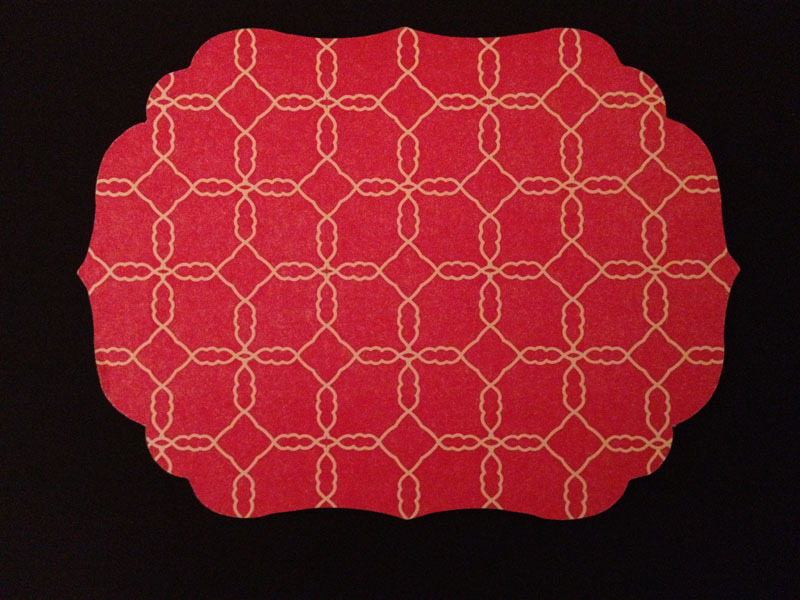 Here is the front of my die cut shaped letterpressed business card. A calligrapher in Los Angeles created the ‘Jennifer V.’ for me. She also does the calligraphy work for the Grammys! This is the back of my business card. I love this pattern! This too is letterpressed.